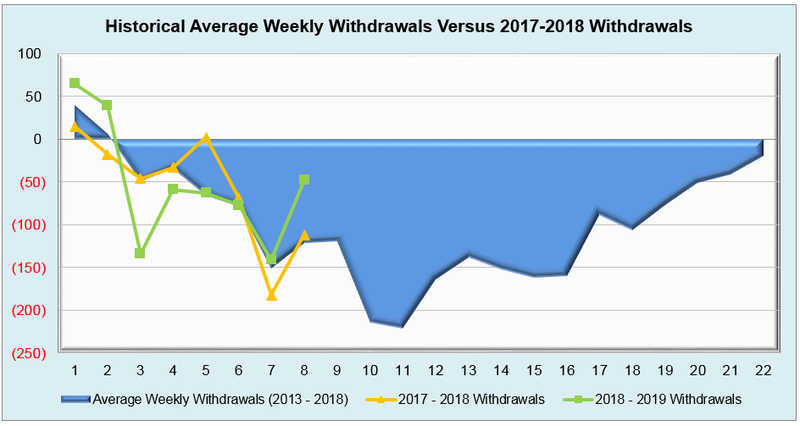 Forecasts of warmer weather seem to have finally come to fruition on this week’s withdrawal as EIA reported a slim 47 Bcf draw that nearly matched all expectations and paled in comparison to historical values. 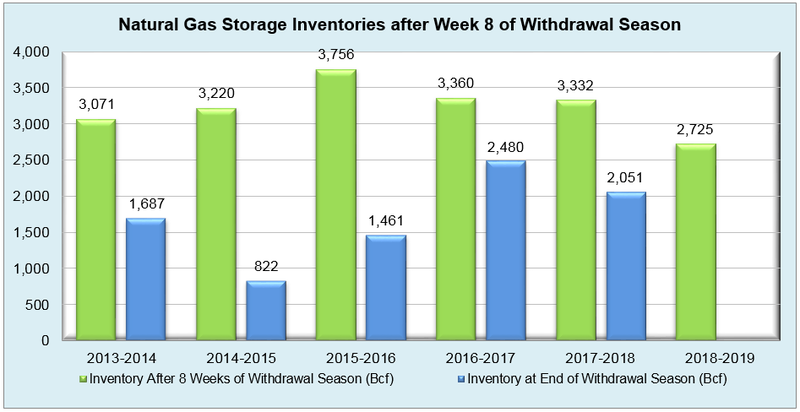 December has been mostly mild, yet storage inventories still are in danger of finishing the refill season at a notably low value. 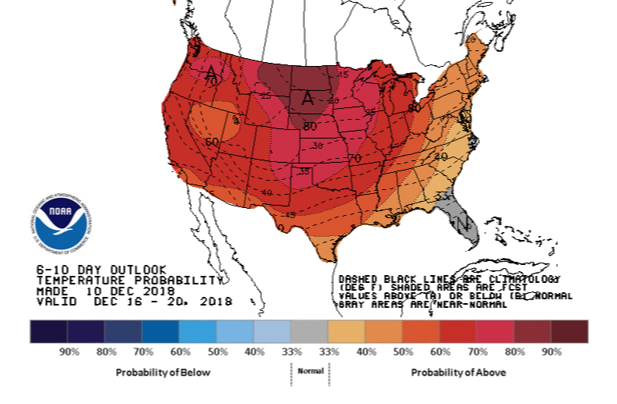 With the expiration of the January contract month yesterday, the February NYMEX price has dropped just shy of 20 cents on the news of extended warmer weather patterns, showing that despite the easing up of the cold, this market is certainly volatile in both directions on the short term. 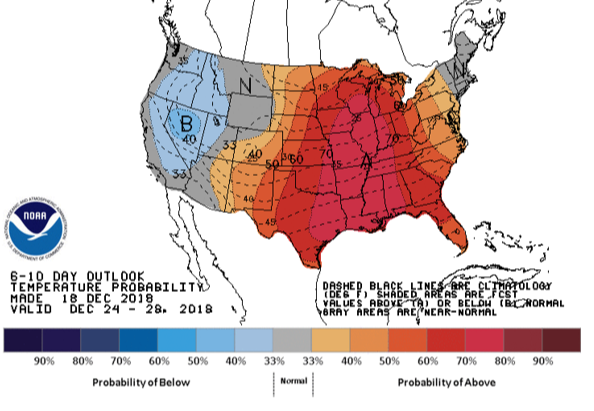 Hopefully we can exit the winter without any incident, but with the season only officially beginning last Friday, there’s quite a bit of possibility for the market to turn bullish yet again. 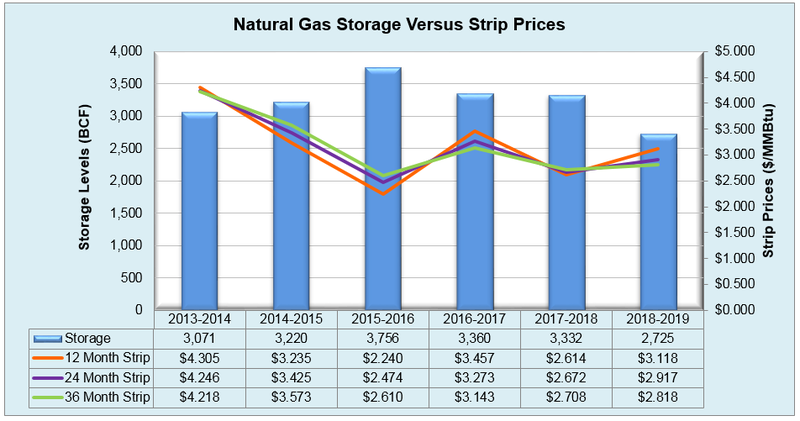 Working natural gas in storage currently stands at 2,725 Bcf, which is 623 Bcf (18.6%) lower than this time last year and 647 Bcf (19.2%) lower than the five-year average. 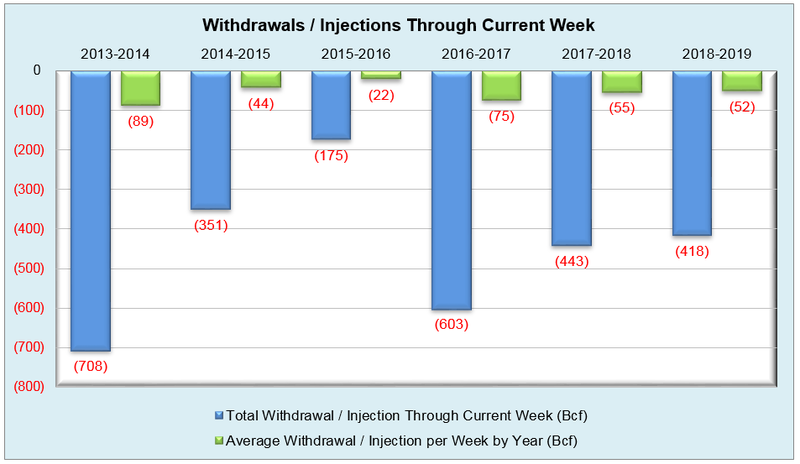 The February 2019 NYMEX Futures price began the day around $3.39/MMBtu prior to the report’s release, but has since slightly dropped to $3.37/MMBtu after the report was posted.